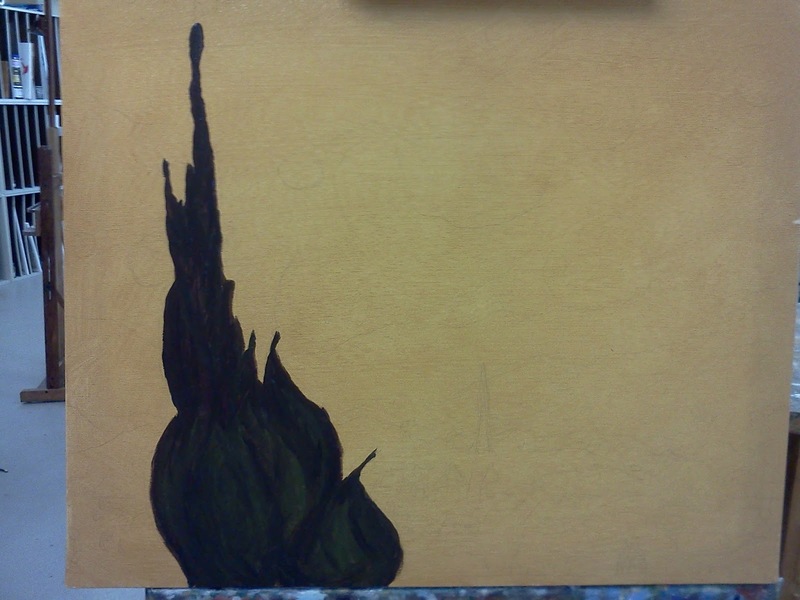 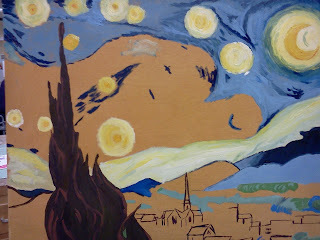 These are a few oil paintings I am working on. The first is my most recent, a landscape of downtown Buffalo. 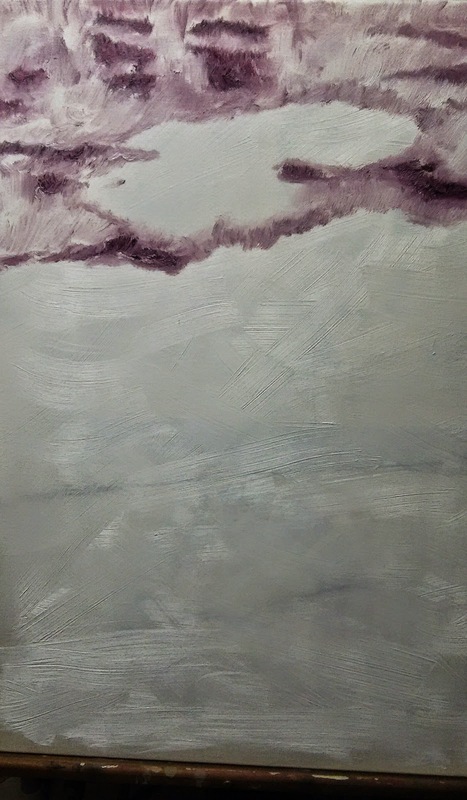 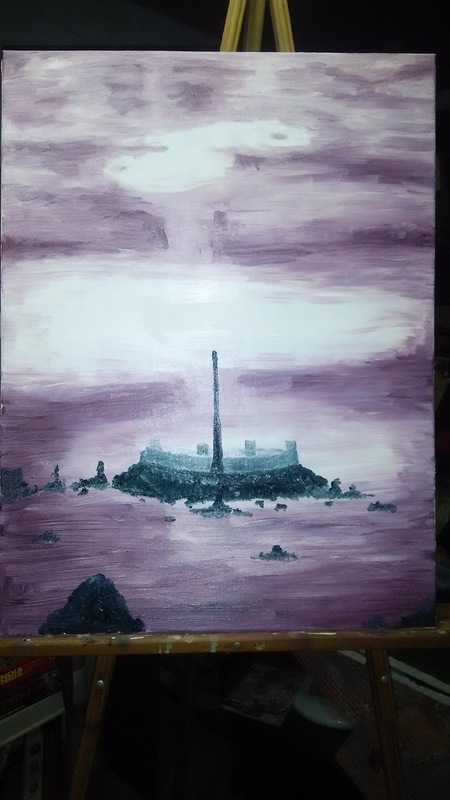 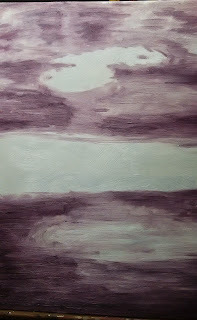 Prior to the landscape, I attempted a sky-seascape with a castle in purples. 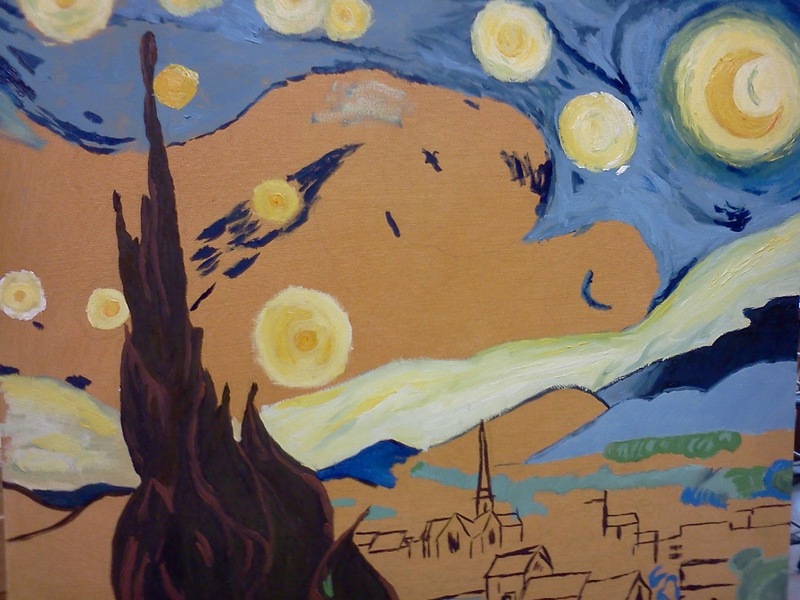 I didn't care for it and painted over it. 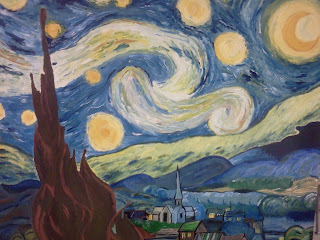 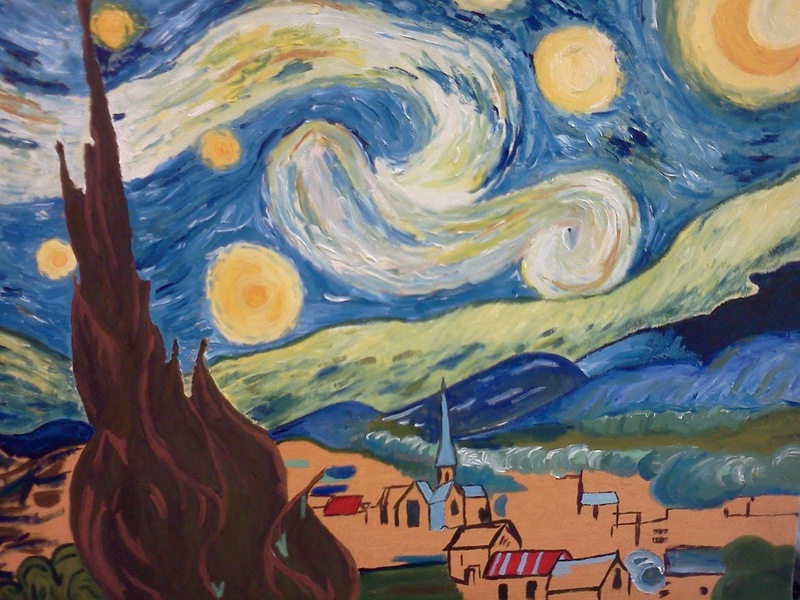 Several years ago, I tried to copy Starry Night. 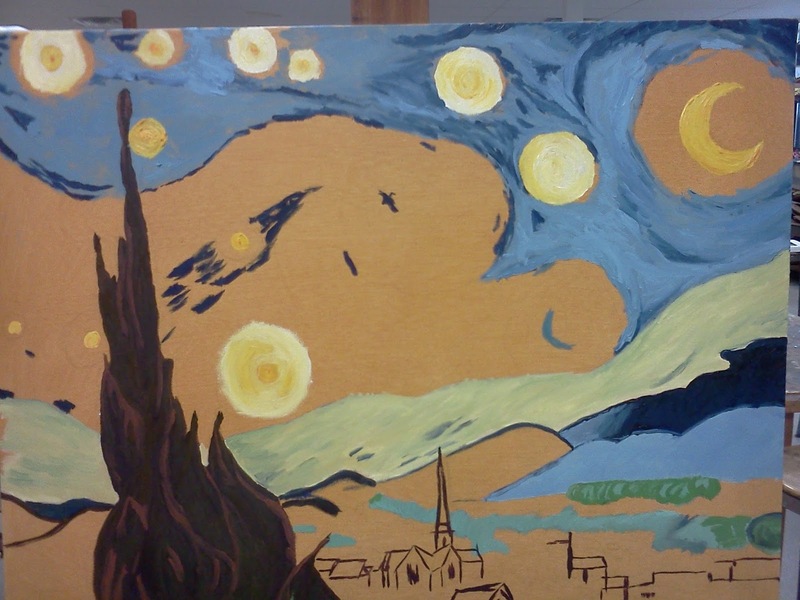 It was fun, but the end results were lacking.